Since 2006, I cannot recall a more exciting time as a CIMCO Software re-seller. Version 8 of CIMCO Software is out, vastly improved, proven and stable, including numerous new features and a modernized interface. Machine Simulation is in the works for CIMCO Editor. 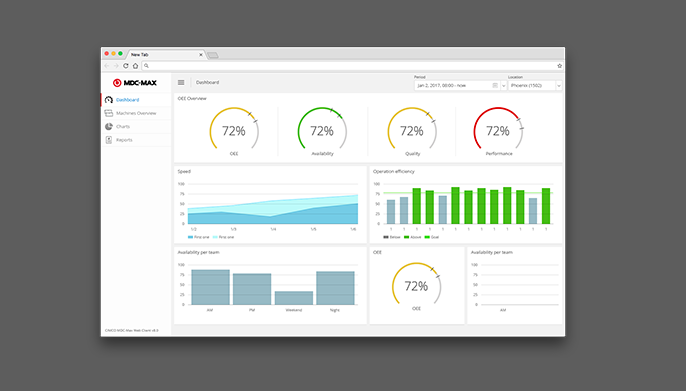 Finally today I am pleased to share that the greatly enhanced CIMCO Machine Data Collection software, MDC-Max, is about to get an entirely new web client. Update 3/21/2017 – there is now a video available of the new CIMCO MDC Web Client. Our customers have really enjoyed the flexibility of being able to run operator panels and live screens for CIMCO Machine Data Collection for several years. 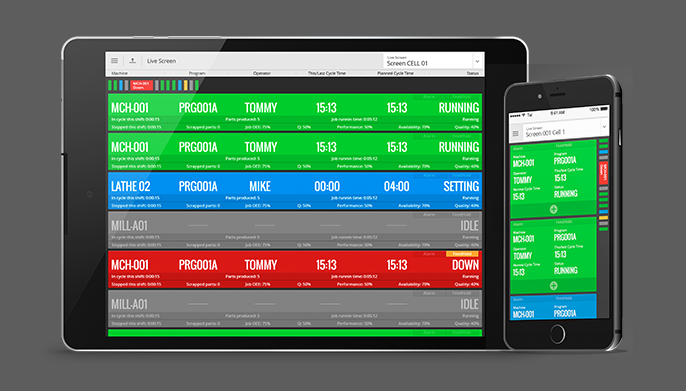 Our customers have had the ability to interface with their data collection system using a tablet, computer or even a phone via a mobile responsive web client. Really that should be a baseline requirement in 2017. Why not do more? CIMCO’s commitment to clean modern interfaces with good networking, operating system and hardware support has always been appreciated here at Managed Solutions. We work with customers of all kinds of shapes and sizes. 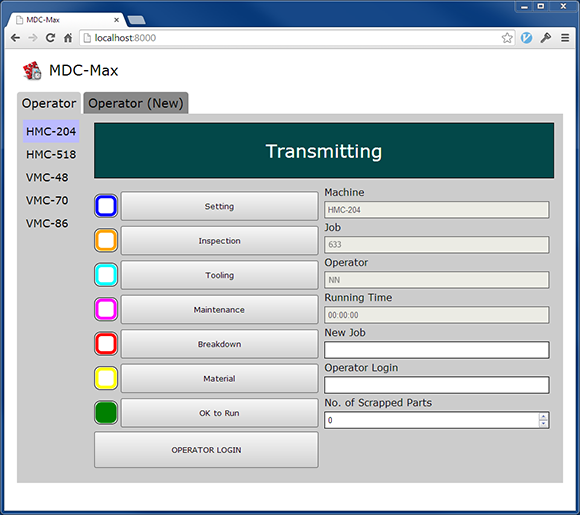 The existing CIMCO MDC web client is very much up to date with current standards. It’s reasonably fast, mobile responsive, and provides a lot of flexibility of configuration. CIMCO decided it was time for something better looking, faster, with even more features. CIMCO has always led the industry with their clean and modern interfaces. These renderings of the new web client show a continued commitment to industry leading design. The new client and server are being built from the ground up, providing for lightning fast speed and meeting the demands of the most challenging multi-site customers. Why have software for one plant when you can have it for them all, along with language localization now available in MDC-Max. Phase 2 of the web client overhaul includes a dashboards feature. This feature will enable the ability to view reports and charts much in the way of the Windows MDC Client. 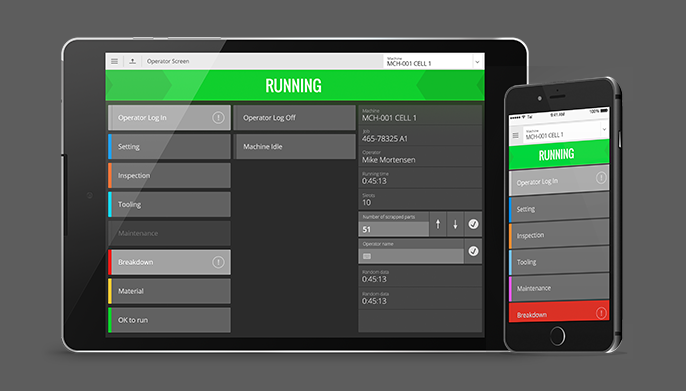 This exciting new feature will further extend the usefulness of the software to users who prefer to access the OEE or other performance data and reports using a tablet or phone from anywhere. Again upping the ante for enterprise features in the machine data collection space. Hopefully you see what I meant about there never being a more exciting time to be a CIMCO Software re-seller. CIMCO has proven time and again that they have a commitment to producing quality products for a fair price, retaining the excitement of those among us who are fortunate enough to be a part of the distribution network. If you have CNC machines and don’t know how efficient they are, give me a call at +1 (925)272-0384 and we’ll help you figure that out.